http://t.co/ix9TamNPAW here is one of his slides touting the his efforts. 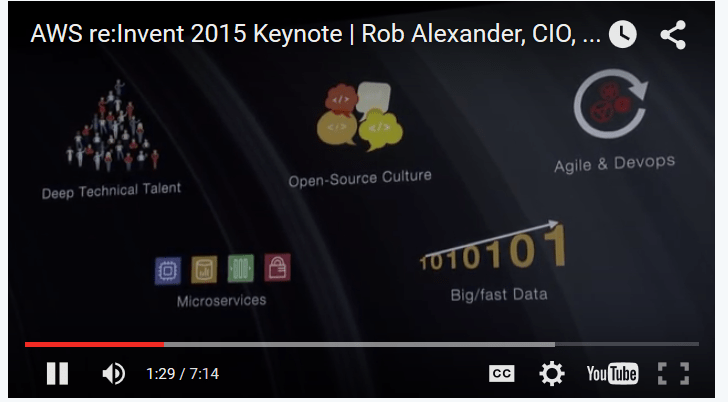 “Mobile is the new Wallet” was in the 7min video of Rob Alexander at invent2015. there are no broadcasts or multicasts and no IPv6 yet. 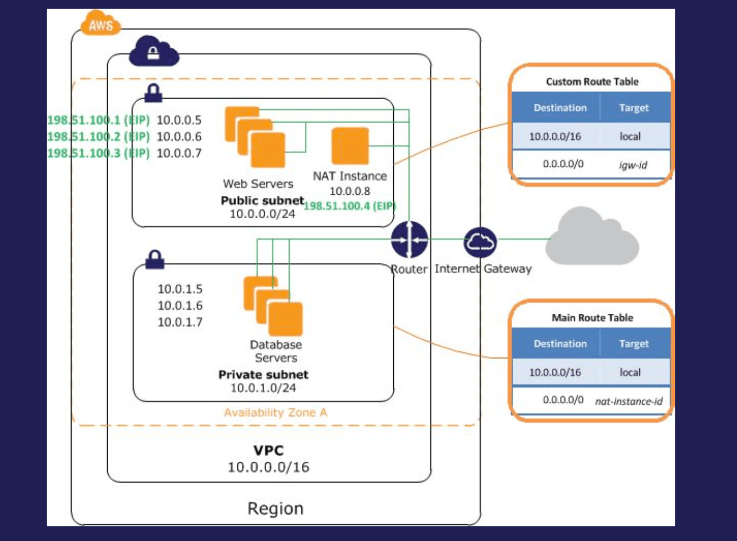 The key with AWS is the IAM or Identity Access Managment. All we need is to look at the first sentence in the article”A code-hosting service that boasted having a full recovery plan has abruptly closed after someone gained unauthorized access to its Amazon Web Service account and deleted most of the customer data there.” to know that there was a major failure of a “backup” company on the cloud. 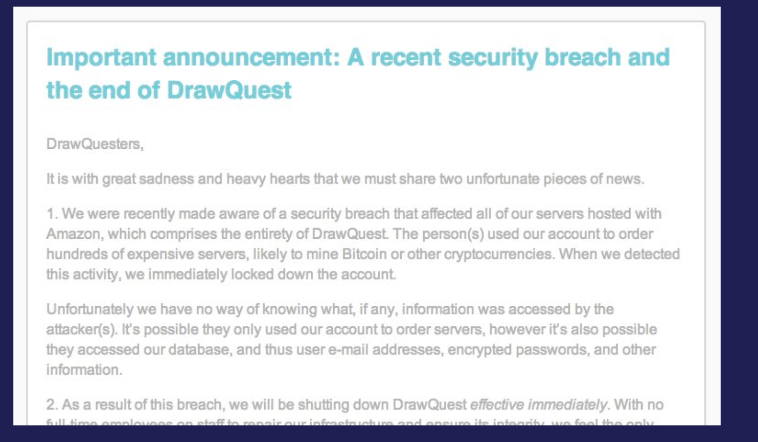 there is much more to the DrawQuest failure: http://chrishateswriting.com/post/74083032842/today-my-startup-failed Chris Poole has a blog that discussed the failure of DrawQuest as a startup. 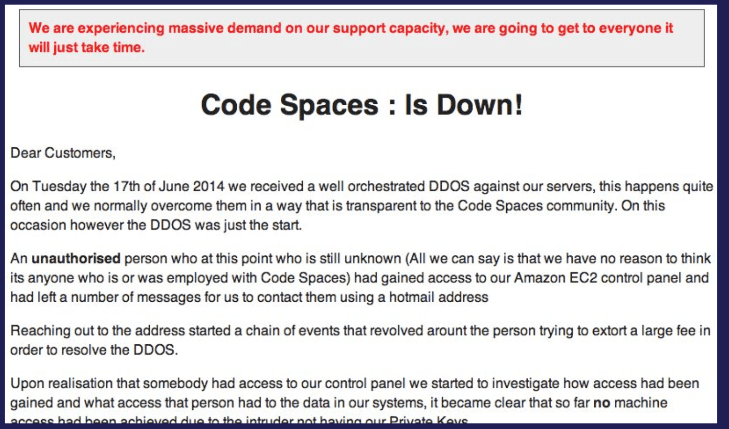 It is interesting that Chris Poole did not mention the hack that helped fail his startup: http://chrishateswriting.com/post/84931829578/when-a-bad-day-gets-worsegetting-hacked-twice-in from a previous post. they made significant architectural errors in devising the app. Apparently not enough (if any) security testing. When a developer does such a boneheaded move he basically killed the company. (my words). 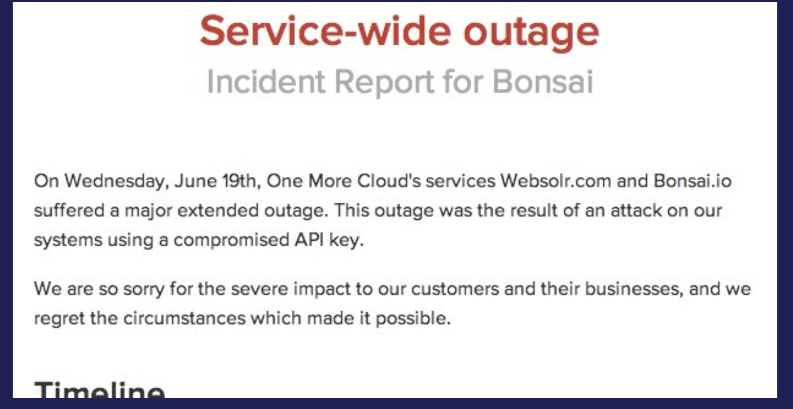 Notice the Incident report mentioned the compromise of an API key. So we know if your defense is dependent on IAM (Identity Access Management), but also internal design of an app can cause security problems. 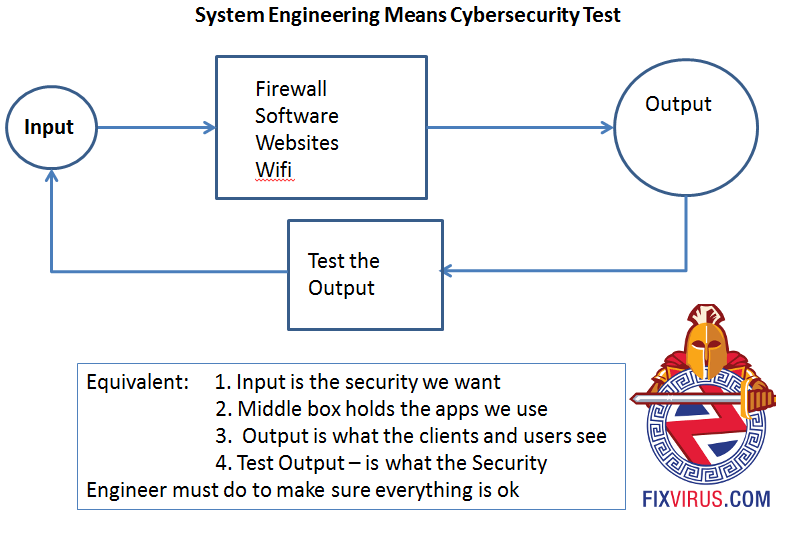 This concept of testing the applications for security must be drummed into everyone. Contact Us to help you explain this.